It's been a busy month! I had two poems appear in magazines. The first, "Little Birds," appeared in Panoply's Spring 2017 edition. Its theme was "Daylight." The editor, Jeff Santosuosso, said it possessed "such beautiful sadness." The second, "In Event of Moon Disaster," appeared in The Santa Clara Review's Winter 2017 edition. I'm really proud of this one, guys. 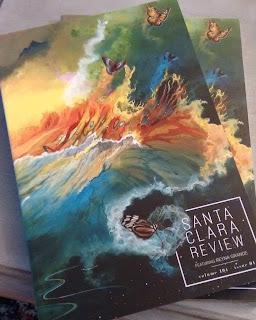 The Santa Clara Review is the oldest lit mag west of the Mississippi, founded in 1867, and it's a Jesuit university to boot! That just warms the cockles of my Rockhurst heart. The editor, Shelly Valdez, said, "Among [this] poem's many merits, I was especially drawn to its charming voice, its unique subject matter, and its wonderful imagery. So many of your lines left me breathless." I hope it leaves you breathless too. 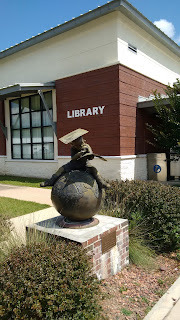 Additionally, my new town hosted an author event at the Robert L. F. Sikes Public Library. It's always great to get some love from the local community. As always, The Ice Dragon was my bestseller. My books will be on the shelf at the library soon, so if you're an Okaloosa County resident, you can check them out! I had some leftover copies, so I feel a giveaway coming on. Stay tuned on that. 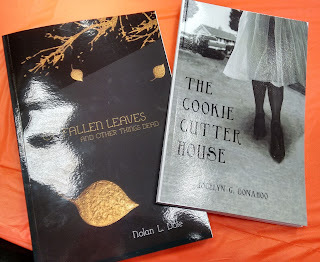 More importantly, I got to hang out with pretty cool writers like Angela Yuriko Smith, Jocelyn Foster Donahoo, and Nolan L. Dole. I look forward to reading their work. Thanks, as always for your support. After a brief hiatus, I'm throwing myself back into the O4S-verse. I don't have an ETA on Book V yet, but I'm hoping to have a draft before the year is out.